What happens when ICE wrongly detains a U.S. citizen for almost three and a half years? Well, a whole lot of nothing. Take the case of Davino Watson, who was held in ICE detention facilities for 1,273 days faced with the improbable task of proving his American citizenship without access to a lawyer. According to two United States Court of Appeals judges, his detention was simply business as usual. It began in 2008. Finishing the Shock incarceration program, “a bootcamp-style lockup for non-violent and non-sexual offenders,” Watson was detained by ICE within “three seconds” of his release, he told Newsweek. 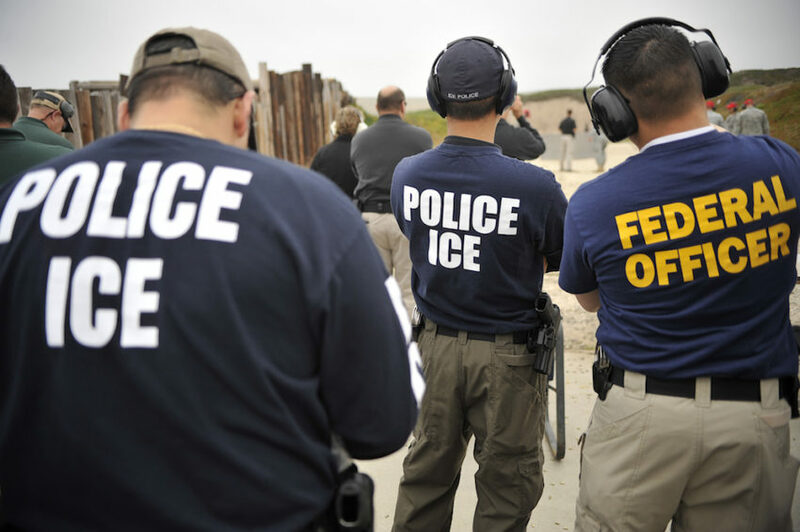 Immigration and Customs Enforcement agents allege he was in the country illegally. It was time for Watson’s deportation. This grab-and-go style isn’t out of the ordinary. An aggressive program called “secure communities”—created by President George W. Bush, suspended by President Obama and then reinstated by President Trump—crosschecks fingerprints from local jurisdictions with the FBI to find if an individual has a criminal record or outstanding warrant, and then crosschecks with the Department of Homeland Security to find their immigration status. If an offender is undocumented, he is then scooped up by ICE for deportation following his release. But unlike his undocumented counterparts, Watson has been a U.S. citizen since 2002. ICE had no legal authority to hold Watson, or any other U.S. citizen. Watson, born in Jamaica, became a citizen under the Child Citizenship Act of 2000, which allows children under the age of 18 to automatically join their parents in citizenship if they are lawful permanent residents. Watson told ICE agents in two interviews during his time in Shock sentence that ICE agent Erik Andren “never made a successful attempt to reach (his parents) at the phone number” and “ignored the notation on the Pre-Sentence Face Sheet that the plaintiff was claiming United States citizenship.” Andren also managed to mix up Watson’s parents’ names, substituting Hopeton Watson for Hopeton Livingston Watson and Claire Watson for Calrie Dale Watson. While it is unclear if the mixup was intentional, Livingston-Watson’s ex-spouse was a U.S. citizen, which should have led to further investigation. Yet according to the Daily Beast, Andren sent paperwork deeming Watson to be deportable before the parental files had even reached his desk. The paperwork went to the next ICE officer, who “mindlessly” approved the incorrect conclusions, thus moving on to the next desk, where the cycle continued twice. Unable to afford a lawyer, Watson had no access to counsel—as most deportations are regarded as civil matters—until May 2011, when the case reached the U.S. Second Circuit Court of Appeals and required the Board of Immigration Appeals hear his case. Though after 1,273 days Watson won his freedom, his series of unfortunate events did not end there. ICE released him 1,000 miles from his home with no money. And it took 450 days to terminate the removal proceedings, which hindered his ability to find a job. Sadly, Watson’s story is “far from unusual,” says Chief Judge [Robert A.] Katzmann. Thousands of Americans have faced detention or the threat of deportation—nearly 21,000 U.S. citizens and permanent residents have been unlawfully detained in a four-year period. And only 14 percent of detainees are able to acquire legal counsel, despite the fact that immigrants with access to counsel are four times more likely to be released from detention than the lawyer-less, according to a study by the American Immigration Council. According to Slate, Watson may continue the case with an appeal to the Supreme Court. Next Next post: RIP, Petrodollar?